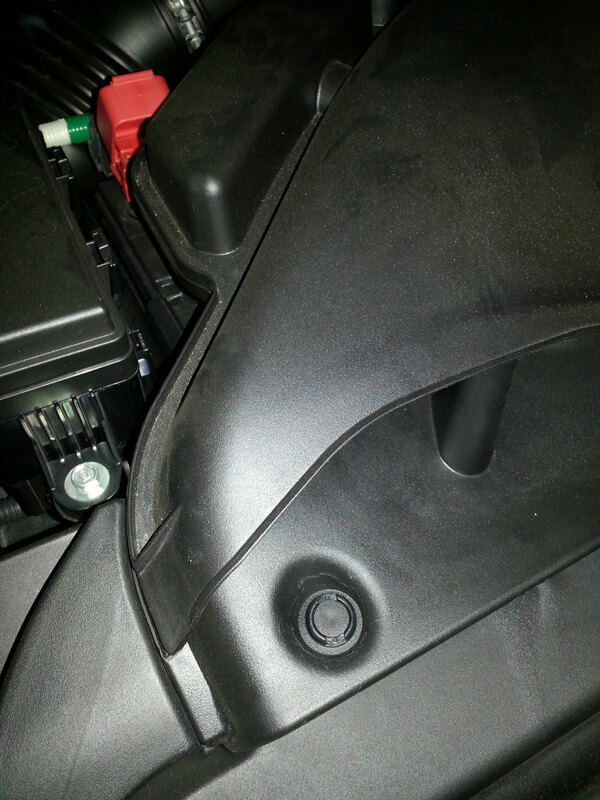 How do you get to the battery on a 2012 Honda Odyssey, given that it is blocked by some type of intake tube**? **Edit: this used to say exhaust but I changed it to intake tube, given the answers, below. We have a new 2012 Honda Odyssey and our old car battery just died. So I'm trying to give it a jump but the Odyssey's battery is blocked by something that I can't remove. Does anyone know how to remove these fastener/screw things (at the bottom of the picture below)? I've tried turning them as well as prying them with a butter knife. The red terminal is accessible but the black one is completely blocked by this thing. I need to get to both to jump my car. 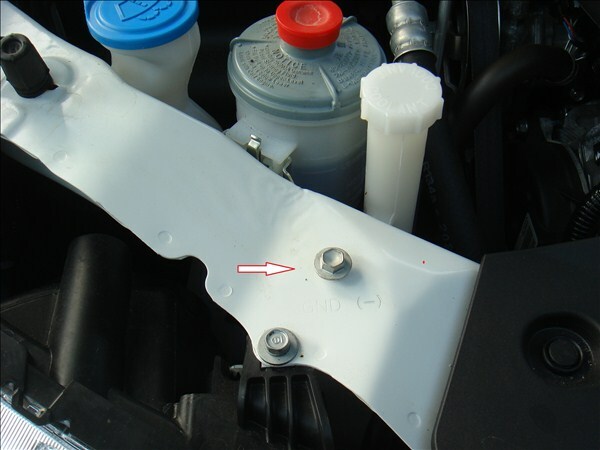 You should be able to sneak a clamp on to the positive terminal, and there's an auxiliary negative (ground) terminal lug nut to clamp onto right in front of the coolant fill tube and power steering fluid reservoir. Otherwise if you really want more room, you need to remove the intake tube (nothing to do with exhaust) by disconnecting it at the rubber snorkel attached to the throttle body. Loosen any hose clamps on it, and use some force to pry it loose the first time. It might be stubborn, but just keep wiggling! To answer the actual question of "how to remove these fastener/screw things": Use a flat head screwdriver to pop out the inner, smaller circle thing. Once that is done, you can use your fingers to pick up the outer circle thing. Then grab hold of the entire air intake box and wiggle it free of the rubber sleeve/seal and the entire thing will come of cleanly and give a lot of room to get at the battery. Good Luck. Not the answer you're looking for? Browse other questions tagged electrical honda battery or ask your own question. How do you locate a battery drain? How do I test my car battery? How do you clean battery corrosion? Tools needed for oil change on 2012 Honda Odyssey? Honda Odyssey: Neutral/unlocked steering wheel without draining battery?